ways of restoring your own and your collective energy. Some peace. There are mind-bogglingly large numbers being thrown around about the impact of the Christchurch earthquake. Billions of dollars of rebuild costs (Treasury estimates $15 billion), one of the world's largest insurance events world’s larger insurance events, ten thousand homes that may need to be demolished, 70,000 people who have left Christchurch. This conveys the impression of an almost overwhelming burden for our small country to carry. NZCCSS has set up this website on Thursday 3rd March as a service to NGOs in Christchurch to share information about their current location, operational status, assistance needs or offers of assistance to other organisations. More than 30 Christchurch agencies have already entered information. Social Services in Christchurch have been doing phenomenal work since the earthquake struck. Despite forced re-location for the Methodist Mission, Presbyterian Support, Anglican City Mission, Catholic Social Services and The Salvation Army, all these agencies have continued to operate and assist people with a huge range of needs. The Catholic Social Services and Anglican City Mission expect to be back in their central city premises this week. Baptist Church social services have been doing a fantastic job . Social Development Minister Paula Bennett has already achieved 10% of the Welfare Working Group report’s goal (see comments below) of reducing benefit numbers by 100,000!? February benefit number of 344,060 people receiving benefits is down almost exactly 10,000 on January (354,058). Unfortunately such improvement in the figures will not continue as the effect of the Christchurch earthquake comes through. Minister Bennett reports that 35,000 staff and self-employed are receiving temporary support through the emergency support package. Cutting benefit numbers by 100,000 between 2013/14 and 2021. A new agency called Employment and Support New Zealand to oversee this reduction via ‘a work focused welfare system.’ Beneficiaries all getting the same benefit called the Jobseeker Support benefit (with supplements for particular circumstances). Beneficiaries getting the idea that they should be supporting themselves and their families via paid employment. Single parents looking for 20 hours work a week once their youngest child is three and 30 hours a week when the youngest turns six. Benefits tied to making sure children go to school and get regular health checks. If you don’t do this, then your benefit gets managed by a third party. People with drug and alcohol problems who refuse to attend treatment and counselling services having benefits cut. More investment in early childhood education and after-school care and drug and alcohol rehabilitation services would be needed to deal with all of the above. A parallel situation applies to Māori males. The report laments the high numbers on benefits, but ignores the fact 40% of all Maori males over the age of 15 years, have either been imprisoned or served a community sentence. The rate of imprisonment for Maori in 2009/10 was 634 per 100,000 people, compared with a rate of 192 per 100,000 for New Zealand overall. Try getting an employer to hire you when you have a criminal record. Social Development Minister Paula Bennett calls the report ‘an opportunity to change the welfare system and would feed into Government work’ and Prime Minister John Key has indicated he will take into the election campaign any implementation proposals from the report. Mike O’Brien from the Alternative Welfare Working Group comments: “There is no attention to issues about poverty, or the work of caring for children and dependent relatives. Even if their proposals were able to achieve their stated goal of reducing benefit numbers by 100,000 over the next ten years, many will still remain living in poverty. 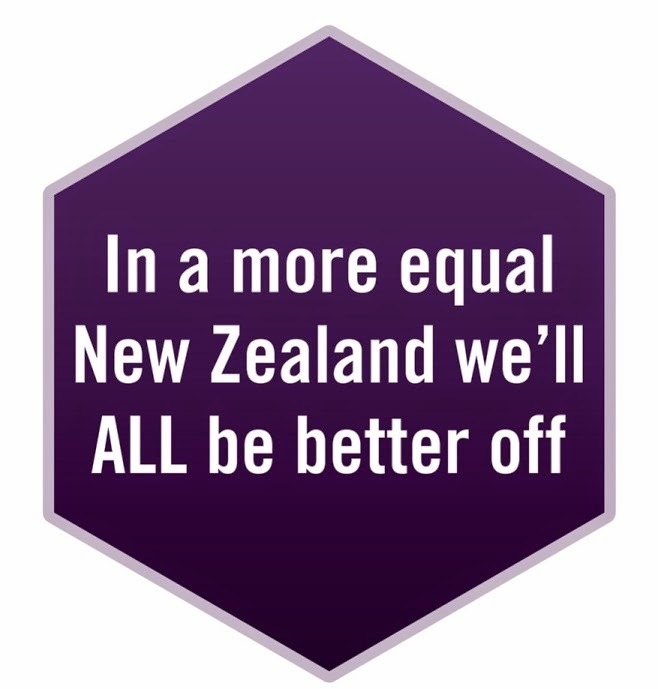 Gordon Campbell points out that “…welfare reform on this scale will not only punish and marginalise the poor – with all the health/law and order costs that will create in its wake. It will also present employers with a golden opportunity to permanently undercut the wages and conditions of all but the elite and skilled members of the New Zealand work force. Older people have benefited already from new technology supported services for older people in Canterbury. The InterRAI computer-based needs assessment tool has been a great help since the earthquake in Christchurch. The Vulnerable People team was able to work with international support to review the database and identify the older people in the community who might be at greatest risk. This enabled the emergency response team in Christchurch to better target its work. Cuts to the Tupu and FOlauga series of resources by the government last year have prompted the Pacific Languages and Literacy Petition . Its asking the government to introduce and fully fund Pacific languages literacy and English literacy development through Bilingual Education programmes for Pacific students to improve academic achievement and success and improve their overall wellbeing. Contact: Feeonaa Wall wharewaka@hotmail.com Final presentation to parliament is being aimed at April 1st. PresCare is a Presbyterian Church and Presbyterian Support joint initiative to focus over Lent on the issues of family violence. They have produced a range of resources that are online at http://www.presbyterian.org.nz/prescare . Churches and individual are invited to use the resources during the season of Lent, leading up to Easter. Sadly, the stress of events such as the Christchurch earthquake often lead to an increase in family violence making the work of Family Works even more critical. A Methodist Public Question study of Inequality and Welfare Reform has been prepared for Lent. This is available on the NZCCSS website under Publications.